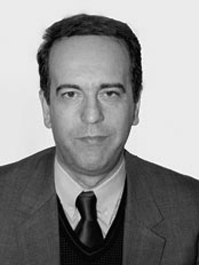 Dr. Bellos is an Associate Professor of Structural Design and Construction Technology at School of Architecture, Engineering, Land and Environmental Sciences at Neapolis University Pafos (since 2018), director of the Civil Engineering programme (since 2017) and Head of the Department of Engineering (since 2018). He has also served the Neapolis University as an Assistant Professor (2010-2017), while he has been the director of Information and Learning Services of the Institution for more than four years (2009-2013) and has participated in the development of its overall University’s technological infrastructure. Dr. Bellos has a Ph.D. in Structural Engineering (1989) and an MSc in Mechanical Engineering (1986) from S.U.N.Y. at Buffalo, USA, and a BSc in Naval Architecture & Mechanical Engineering from National Technical University of Athens, Greece (1984). Dr. Bellos has several publications in his fields of research and has participated in several International Conferences on both sides of the Atlantic. Furthermore, with over 20 years of experience, he is an expert on the structural design of Reinforced Concrete Buildings complying with local and international Building Regulations.